The tragic killing of a young man, armed police called to a beauty spot and a sentencing for a stabbing conspiracy are just some of the crime stories you have been talking about this past month. However it is not without crime. Here are some of the incidents our newspapers covered in November. An armed robber who raided a Horsham Tesco and tried to steal a police car was jailed for 10 years. The trial of a man accused of killing a homeless woman in Eastbourne ended in his conviction for manslaughter. 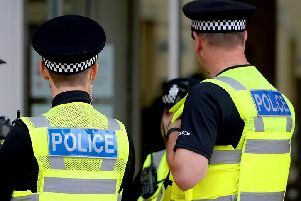 Police arrested two people on suspicion of kidnap and assault after concerns were raised for the welfare of a man from Hastings. A young man sadly died in a stabbing attack in Crawley. Five people were sentenced in connection with a stabbing in Durrington that left a father with life-threatening injuries.